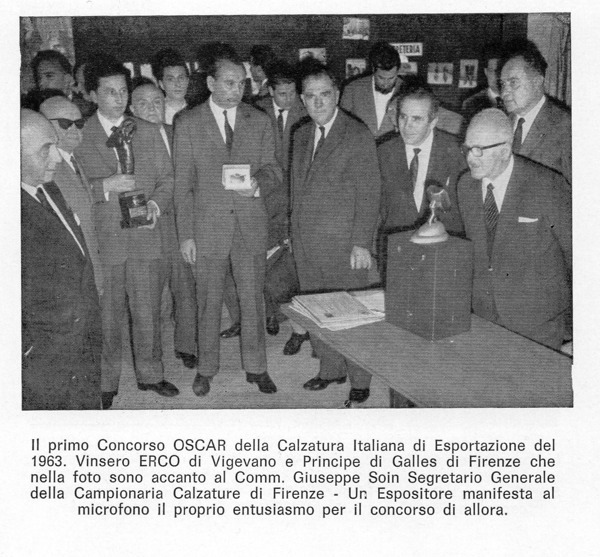 La ditta di Vigevano era il calzaturificio Erco (Vigevano) e la calzatura premiata è esposta al Museo della Calzatura di Vigevano. "During the "III Footwear and leather goods Exhibition», a national competition has been launched for the award of the Italian Export Oscar among all industrial and commercial footwear companies. A jury of expert pattern-makers, engineers and journalists, after examining over a hundred models submitted by competitors, completed its work last night after midnight and awarded the Oscar for a female model to a company from Vigevano for a shoe as light as a feather, in dark brown suede profiled by an elaborate inlay." 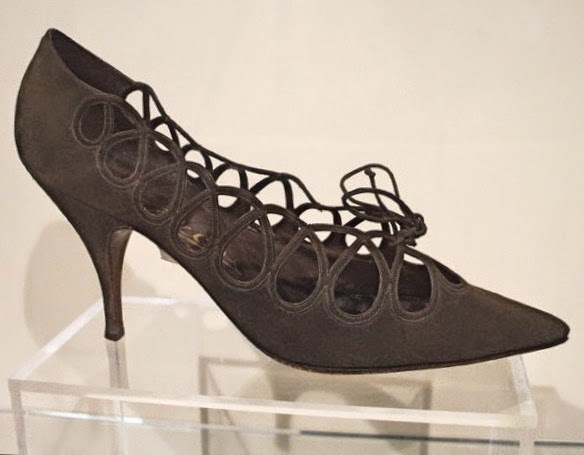 The Vigevano’s shoe factory name was ERCO and the awarded shoe is now on exhibit at the Footwear Museum of Vigevano.